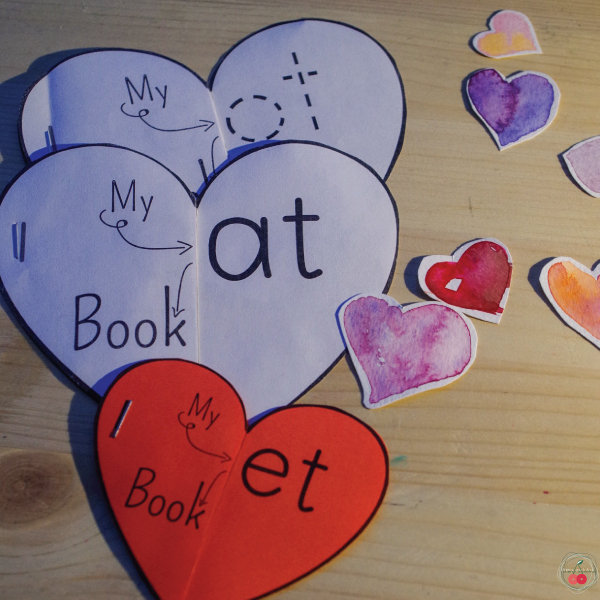 Learning the letters, as anything at early age, is best done through play. Make your sorting boards. 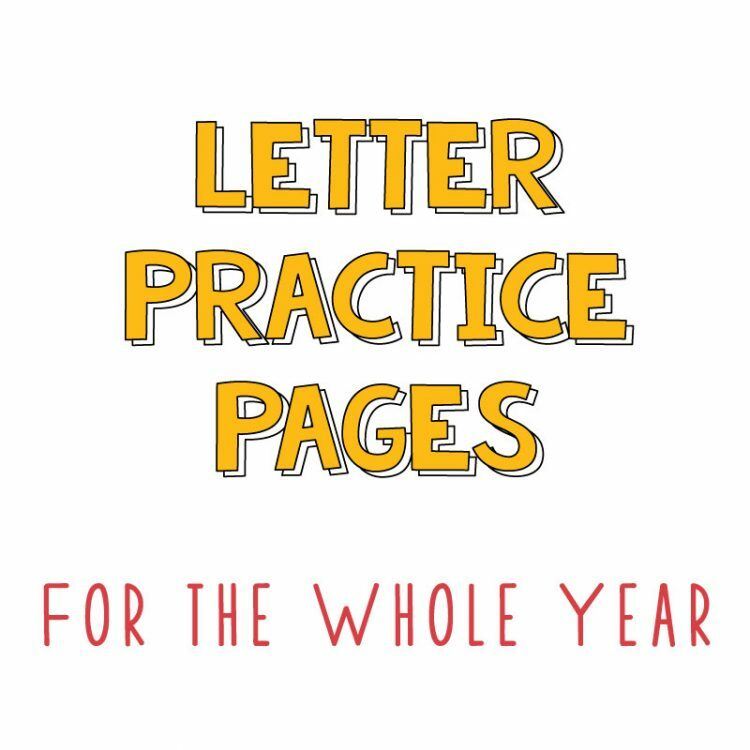 It depends on what you need to practice you may choose 2 or 3 boards with lower and upper case letters, and not the letter. Or just any two of those. 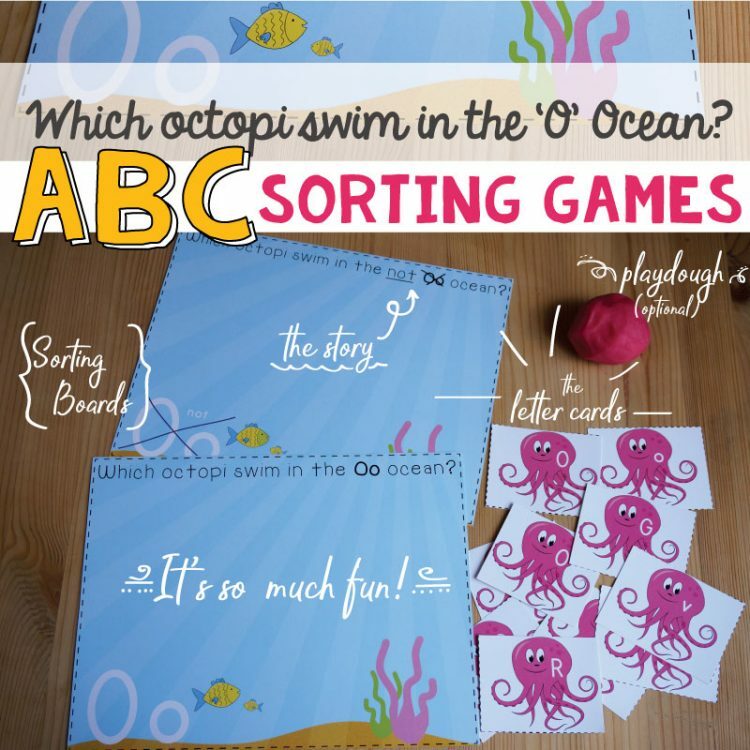 If you are printing my set, you can choose among these 4 boards. I would typically print three of them – capital, small and not the letter. 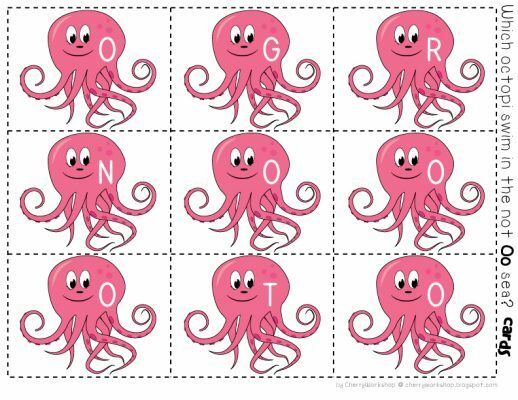 Then prepare your octopi. Print and cut them out. You may want to laminate if you are going to use over and over. 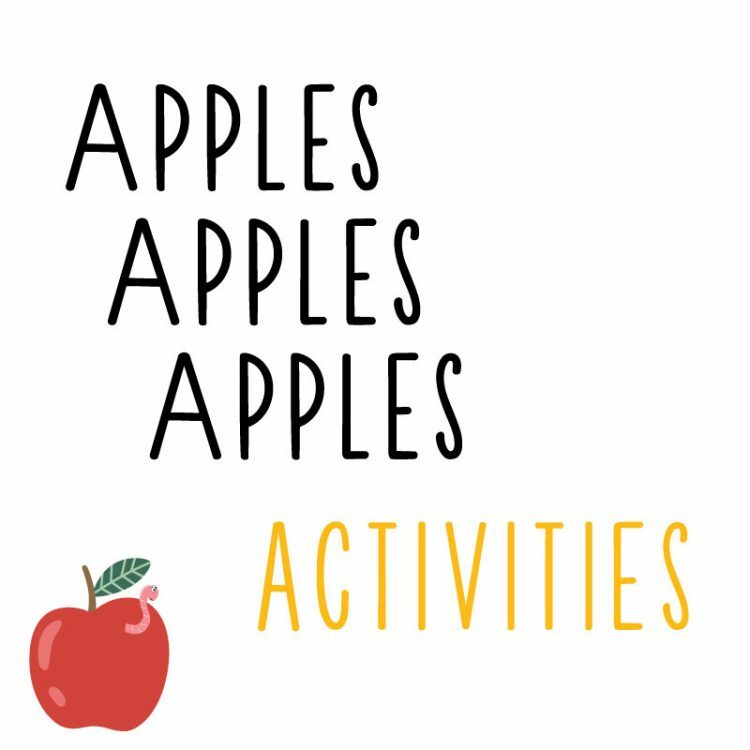 You may play by just putting the cards on the boards or you may want to make them stand up for it is so much more fun 🙂 and has fine motor skill practice added bonus. There are several ways to make your cards stand. I typically use play dough. It’s cheap, easy to make and available at all times. Here are some other ideas to make standing game pieces from any small picture. 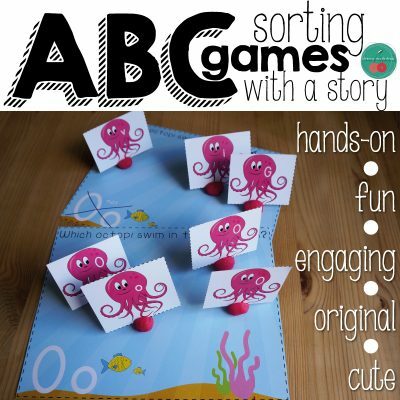 I typically think up a short background story to tell my kids before we do the sorting. I make it up as we go or when I do my planning. Unfortunately, I never keep them and then next time, after a year, I do it all over again. In this posts I’ll try to recreate the story, think up new ones for me to keep in writing and have them handy when needed and would love to hear any ideas anyone might have. 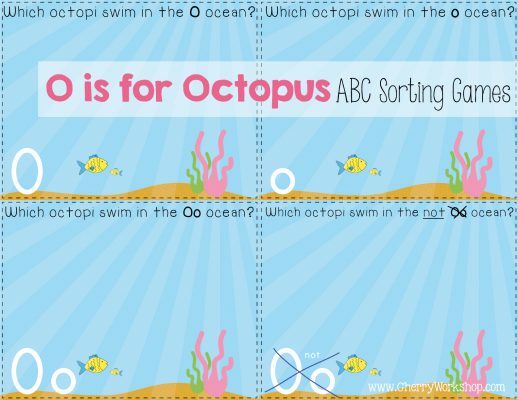 In the great big ocean, there lived a family of 10* octopuses. They went everywhere together, to the fish school, to the fish playground, to the fish market and and all around. But wherever they go, they were always unhappy. One said this water is too cold. The other, this water is too salty. And for another the water was too sweet. And they were like this their whole life. Everyone thought they’re too pretentious. Until, one day, they met a shark. It hear them whine and said. Do you know what, I know some places you may like: I know an ocean that is warmer. It’s called ‘capital O’. And I know an ocean that is sweeter, it’s call ‘lower case o’. And I can see, you have on you signs showing the best place for you. Let’s help each find the place for them. 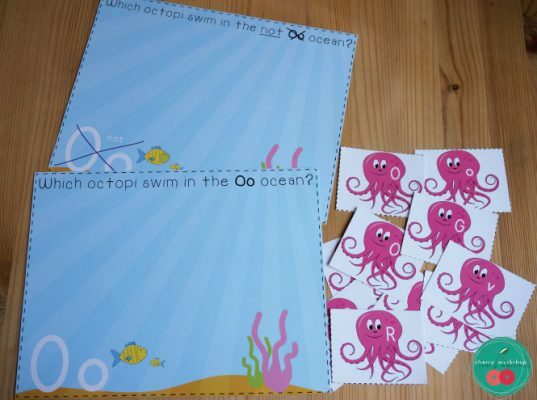 Then kids sort the octopuses in the 2/3 oceans. 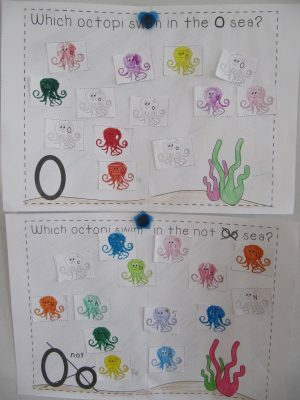 I give them the playdough and as many as possible octopuses each and they take turn to place them in the right ocean. 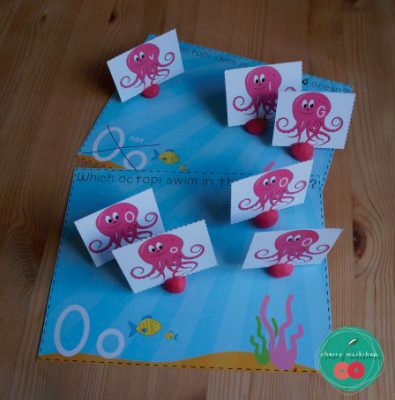 How to place the cards using playdough. I love to use every opportunity I get to get my kids off their chairs and let them move. So I may place cards around the room they go, find them and then place them. 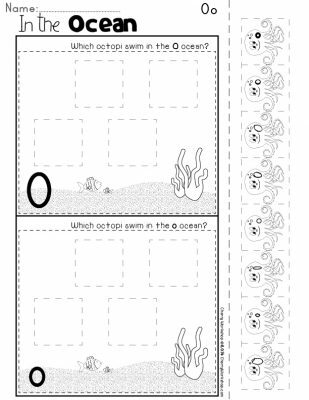 Sometimes I print black and white version and let them color the cards and them glue them in the ocean. And them let them make their own small ocean. 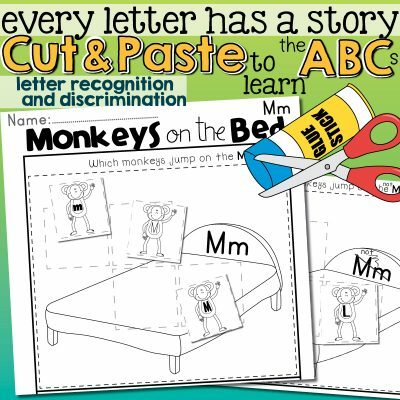 These worksheets use the same stories but are just one page, no prep activities. They can be great for homework as well.